The Canadian Human Rights Commission is seeking a judicial review of a controversial Canadian Human Rights Tribunal ruling that found an anti-hate law targeting telephone and Internet messages unconstitutional. 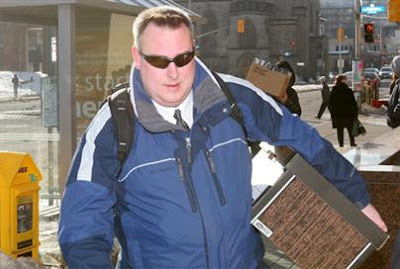 The CHRC maintains the tribunal erred in law when adjudicator Athanasios Hadjis refused to apply Section 13 of the Canadian Human Rights Act in a 2003 complaint brought by activist Ottawa lawyer Richard Warman against Marc Lemire, a well-known figure in the Canadian far right and webmaster of freedomsite.org. Yesterday's announcement was met with both approval and condemnation. "We certainly welcome this," said Bernie Farber, CEO of the Canadian Jewish Congress. "There are a number of different decisions by human rights adjudicators that are all in conflict. The Federal Court will now be the correct instrument to bring the needed clarity." The CHRC and Mr. Warman could not be reached for comment last night. Section 13 became law in the 1960s and was intended to target racist telephone hotlines. In 2001, the law was expanded to include the Internet. Mr. Hadjis's ruling raised questions about the CHRC's legitimacy in its controversial pursuit of hate on the Internet, which critics have called censorship. In the 2003 case, Mr. Warman alleged that postings on Mr. Lemire's website discussion forum contravened Section 13 because they were "likely to expose" certain indentifiable groups to "hatred or contempt." But in his ruling, Mr. Hadjis decided that in all but one case, Mr. Lemire could not be held responsible for discussion forum content because most messages were written by others, or the postings did not violate Section 13. Mr. Hadjis also noted that when Mr. Lemire learned of the complaint against him, he removed the offending material from his website and sought conciliation and mediation. Only when Mr. Lemire posted an article called "AIDS Secrets" did Mr. Hadjis find a violation of the law. Still, Mr. Hadjis ruled that he could not make any order against Mr. Lemire, due to the introduction in 1998 of fines of up to $10,000 that make the pursuit of Section 13 cases "no longer ... exclusively remedial, preventative and conciliatory in nature," and therefore inconsistent with the Charter of Rights and Freedoms. "The restriction imposed by these provisions is not a reasonable limit within the meaning of Section 1 of the Charter. Since a formal declaration of invalidity is not a remedy available to the Tribunal ... I will simply refuse to apply these provisions for the purposes of the complaint against Mr. Lemire and I will not issue any remedial order against him," Mr. Hadjis wrote in his ruling. Section 13, however, remains a valid law. In a 1990 Supreme Court of Canada decision about neo-Nazi John Ross Taylor, the law was upheld as a justifiable limit on free expression. In addition, as a member of a statutory tribunal, Mr. Hadjis cannot legally declare Section 13 unconstitutional. In this case he simply refused to apply the provisions. That was an error, says B'nai Brith lawyer Marvin Kurz. "He could have applied Section 13 but simply not included the penalty section," said Mr. Kurz.